We manufacture educational puzzles, touristic puzzles, personalized puzzles and promotional puzzles. We print in Offset or Digital depending on the order and we use the best cutting machines in the market in order to offer a high quality product. 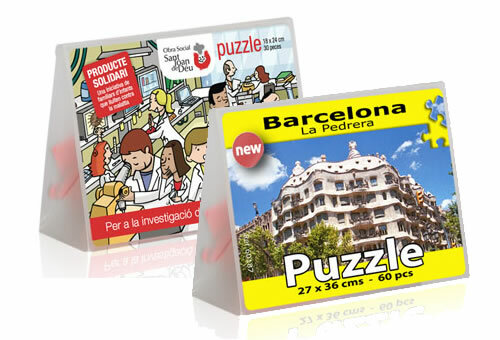 The production of the puzzles is done in any of the centers that we have in Europe.